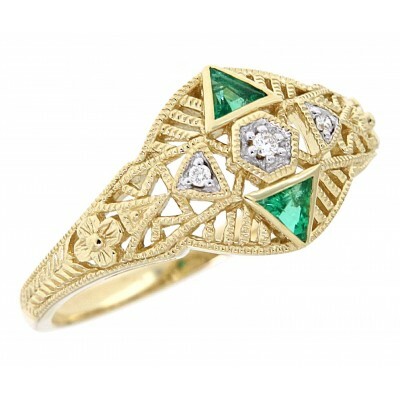 Art Deco Style 14kt White Gold Filigree Ring with 3 Diamonds / 2 Genuine green emerald gemstones. 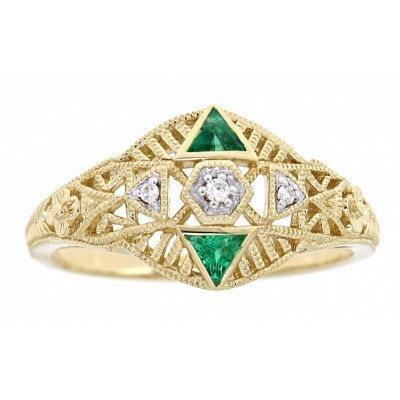 Handcrafted in the Art Deco style, this filigree ring features 3 Genuine Diamonds flanked by 2 triangle shaped green emerald gemstones. 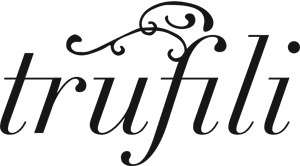 The elegance of the filigree setting gives this ring its distinctive flair. 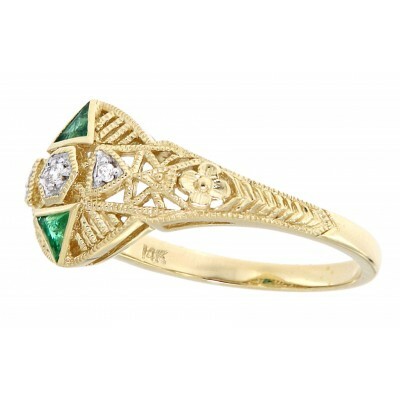 This ring would make a perfect gift for many occasions.